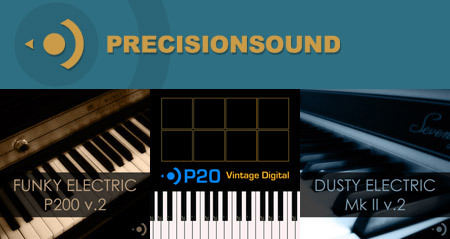 Today I just got a newsletter from Precision Sound about their Winter Sale which consists of 50 percent off on all Sample Sets until 31 December 2010. I’ve been waiting for this sale to come up so I could finally pick up some Samples sets to program into my Yamaha Motif ES and Roland Fantom XR Sound Module. I was primarily interested in the EP Electric Piano series samples which consists of the MKS-20, Fender Rhodes MKII 73, and Wurlitzer A200 Electric Piano. I recently purchased the GospelMusicians MKSensation and Neo-Soul Rhodes and I’m excited about adding to that collection with these new sample sets. I’m a HUGE fan of the electric piano sound in jazz, gospel, Rnb, Funk, you name it. I don’t have a read Fender Rhodes, Wurlitzer, nor an MKS-20, so I feel (hope) these Sample sets will get me close if not there. At the moment I am programming these into my Motif and Fantom because those are my primary multisample based hardware keys at the moment. Once I have them in there, I’ll update my article here with some thoughts about how I think they sound and maybe make some comparisons to other sample sets like I mentioned above. These Sample Sets can be expensive I know which is why I waited for the Precision Sounds Samples to go on Sale. Today I found a used Roland Fantom XR with the FAN-XR-UP1 “Sample Tools Expansion Kit” and all accessories for $500 at the used music shop outside of Nagano city, JAPAN. It was a real find and I really didn’t expect to get it, but there were a few things that made be make the purchase. First the Fantom XR came with the FAN-XR-UP1 “Sample Tools Expansion Kit” installed along with all the accessories found in the kit. 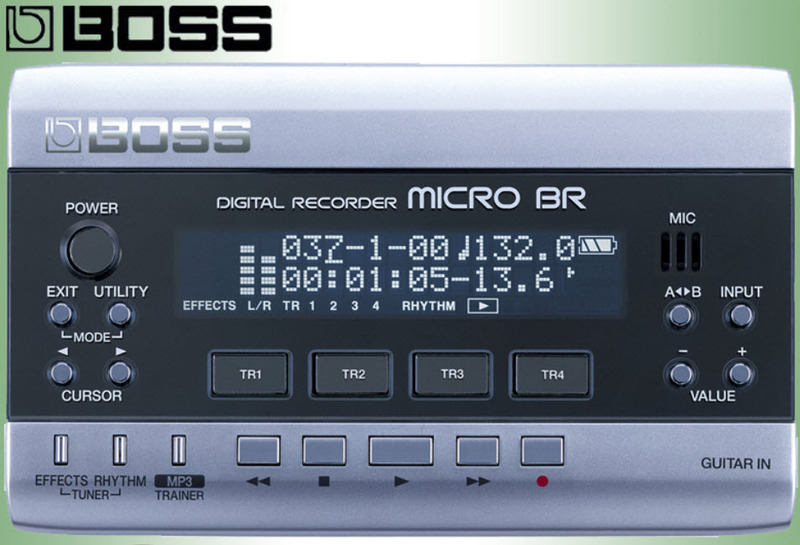 The kit accessories included the Fantom-XR Sample Tools Expansion Kit CompactFlash Card, PC Card Adapter, CD-Rom (Editor), Fantom-XR Sound List (Leaflet), Guide to the Added Functionality (Booklet), and finally a sticker. 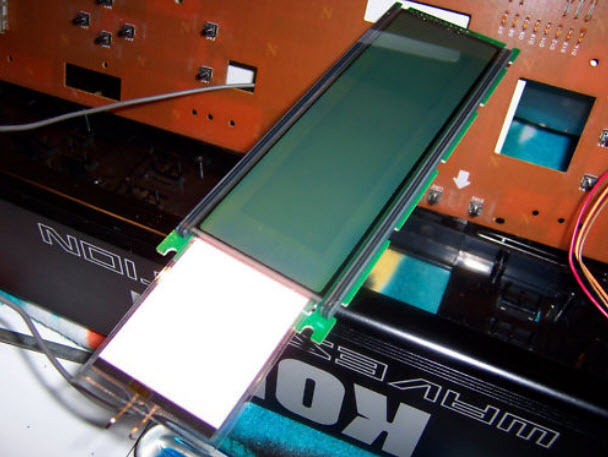 In addition, the Fantom XR was fitted with one stick of 512MB memory and an extra 1GB Compact Flashcard was thrown into the bag. Finally, in the accessories bag was a manual for the SRX-12 Classic EPs expansion card which I later found was already installed inside the Fantom XR. BONUS! I thought for $500 this was a deal that couldn’t be passed up. Plus the unit was in absolute mint condition. I almost didn’t see it as the guy had it in a glass case way at the bottom and kind of slid to the back. Although I am slightly more of a Yamaha Motif fan lately with my ES, I thought this would compliment it well. The Fantom XR works beautifully and I’m glad I picked it up. It’s true in Japan that people really go crazy over accessories and as expected the Fantom XR had most of the bells and whistles along with all the materials barely used. Along with the SRX-12 Classic EPs expansion card, I’ve already thrown in some great Rhodes multisamples into the rack and it really sounds fantastic. The Fender Rhodes “bark” is there and that makes me happy. I downloaded and installed the generous Rhodes patches ( Set of 16 ) from Cesarsound on the RolandClan Forums. The link to the thread is here. These sound really good and load up very fast. Plus with the FAN-XR-UP1 “Sample Tools Expansion Kit” I can create and edit my own multisamples for the Fantom XR in no time. Fantastic! 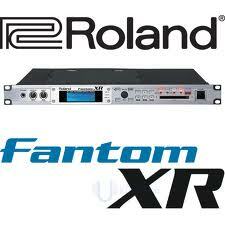 As I dive deeper into the Fantom XR, I’ll post some updates to this article. Stay tuned!